Konoplitskyi V. S., Mykhalchuk T. I., Dymchyna Y. 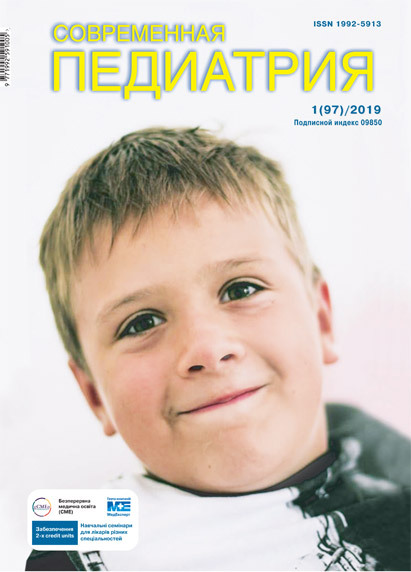 A., Havryliuk A. V.
Objective: to analyse the causes of hydronephrosis in children of different age groups, treatment options, changes in the urine culture; to evaluate the ultrasonic changes of the renal pelvis during the postoperative period as well as presence of postoperative complications in children of Vinnytsia Region over the past 10 years. Material and methods. A retrospective analysis of medical records of the patients who were admitted to the different hospital units of the Children's Region Hospital (unit of young children, paediatric department, department of neonatal pathology, department of congenital birth defects correction, diagnostic department) during the period of 2007–2017 was conducted. In total 548 medical records (out of them 362 males (66,05%) and 183 females (33,39%)) were analysed. Results. Among the patients with hydronephrosis, males predominated over females (362 (66.05%) and 183 (33.39%), respectively), city residents over village ones (315 (57.48%) and 232 (42.33%), respectively). The left-sided hydronephrosis was found in 261 patients and the right-sided one – in 69 patients. In total 83 patients were operated: out of them 50 due to the left-sided and 33 – the right-sided hydronephrosis. The causes of hydronephrosis were as follows: aberrant vessels – 11 cases, embryonic adhesions – 3, vesicoureteral reflux – 6, ureter stricture – 49 cases. The surgeries performed were as follows: operation according to Anderson-Hynes was conducted in 43 cases; operation due to abberant vessels – in 11 cases; nephrostomy – 7; resection of embryonic adhesions – 3; Cohen's operation – 5; T-cutaneostomy – 3; heminephrectomy – 2; Foley's operation – 2; lumbotomy according to Fedorov, ureterolysis – 2; ureteral resection – 2; operation according to Politanno-Lidbetter – 1; nephrectomy – 1; operation according to Hynes-Anderson-Kuchera – in 1 case. There were no postoperative complications. The children were examined with excretory urography and urine culture before and after the surgeries. Among the infectious agent, E. coli predominated and was cultured in 19 cases; Staphylococcus aureus – 7; Pseudomonas aeruginosa – 6; Enterobacteriaceae – 5; Proteus – 3; Streptococcus – 2; one positive results was for Staphyloccocus epidermidis, Citrobacter, and Klebsiella. Among the patients with hydronephrosis, children aged from 10 to 16 years predominated and made up 159 (29%) cases. There were 148 children aged 4-9 years that made up 27%, 1-3 years – 129 (23%) cases, infants – 73 (13.3%) cases, neonates – 22 (4.01%), and there were 17 (3.1%) adolescents over 16 years old. Conclusions. Timely and proper diagnosis of hydronephrosis allows carring out the operative reconstruction of obstructive uropathy and save the kidney. Key words: hydronephrosis, obstruction, Anderson-Hynes operation, uropathy, morbidity, ureteropelvic junction. 1. Aynakulov AD, Zorkin SN. (2012). Diagnostika i lechenie obstruktivnyih uropatiy u detey. Detskaya hirurgiya. 6: 23–26. 2. Vozianov OF, Seimivskyi DA. (2001). Khirurhichne likuvannia ditei z hidronefrozom bez drenuvannia sechovykh shliakhiv. Urolohiia. 3: 3–7. 3. Kovarskiy SL, Zaharov AI, Sottaeva ZZ i dr. (2016). Retroperitoneoskopicheskiy dostup pri prostom vrozhdennom gidronefroze u detey. Detskaya hirurgiya. 20(3): 127–129. 4. Malishchuk VD. (2011). Dosvid likuvannia hidronefrozu u ditei. Khirurhiia dytiachoho viku. 2: 66-68. 5. Obuhov NS, Voronina EA, Danilyuk SA. (2016). Hirurgicheskoe lechenie vrozhdennogo gidronefroza u detey pervogo goda zhizni. GBOUVPO Yuzhno-Uralskiy gosudarstvennyiy meditsinskiy universitet. Vestnik Uralskoy meditsinskoy akademicheskoy nauki. 1: 33–35. 6. Protokoly likuvannia ditei zi spetsialnosti «Dytiacha khirurhiia». Nakaz Ministerstva okhorony zdorovia Ukrainy vid 29.12.2003 No.624. (2003). 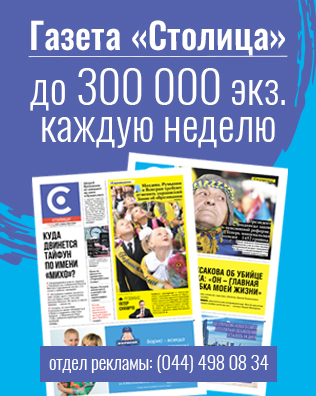 http://www.moz.gov.ua. 7. Seimivskyi DA, Peterburhskyi VF, Kalishchuk OA. (2005). Urolohiia. 3: 15–19. 8. Hakkulov EB. (2016). Sonograficheskaya semiotika ureterogidronefroza u detey. Urologiya. 2: 89–91. 9. Sharkov SM, Rusakov AA, Semikina EL i dr. (2015). Narushenie strukturyi lohanochno-mochetochnikovogo segmenta pri ego obstruktsii. Pediatricheskaya urologiya. 2: 82–85. Article received: Mar 25, 2018. Accepted for publication: Sep 13, 2018.